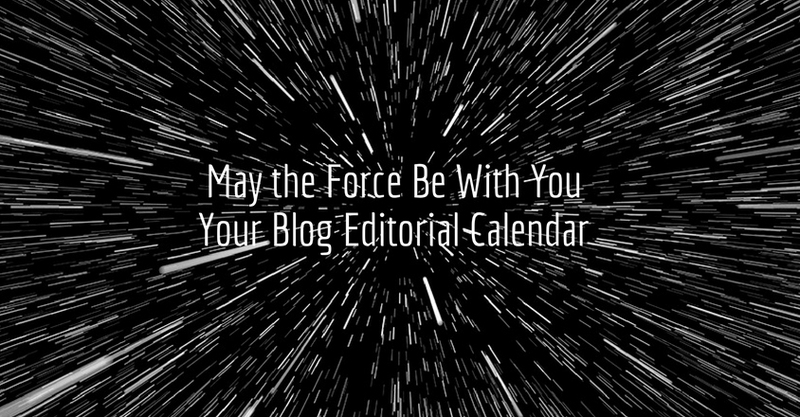 You are the social media Jedi, and your editorial calendar is The Force. Use The Force, my young Padawan. Use it well. Making your blog or social media into an effective marketing tool is a challenge, and so many people get lost along the way. It’s harder than it sounds to not only post regularly but also post content that attracts the right type of traffic and keeps it coming back for more. Even harder is getting your audience to engage by commenting on your content and sharing it. When the going gets rough, though, you’re not at the mercy of fate. Here are three ways your blog or social media editorial calendar can make your job easier. Post regular content. 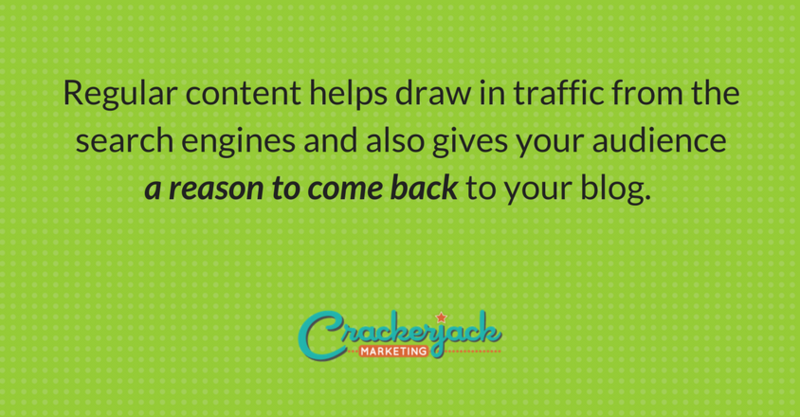 Regular content helps draw in traffic from the search engines and also gives your audience a reason to come back to your blog. They get used to reading your scintillating content on certain days and come back expecting more of the same. If your posting isn’t consistent, you will have a much harder time building a loyal audience. Your blog editorial calendar will help you stay the course. You’ll have it right there in black and white—what you are supposed to post next and when. This makes it much harder to procrastinate and fall into the posting every now and then category. When you create your blog editorial calendar, make columns to help you stay organized, including those for the month and the day you will publish; the topics, categories, and keywords you will cover; the images you will add; and any notes that may help you with your post. Create content of value for your audience. You could blab all day about the way your sofa swallows your remote control and the deals you got at the grocery store, but that’s only going to interest some audiences. You need to plan the right content for your unique audience. Create a blog editorial calendar with various topic categories of interest to your audience (after you’ve done your research, of course). Then fill in post topics for each category. Use the calendar to ensure that you don’t focus too much on one topic or category and ignore the world of others you could cover. So you get stuck for topic ideas? No worries. The rest of us are rowing along in the same boat with you. It’s always a good idea to spend time where your audience does and create content based on what they are discussing or asking. Don’t forget that you can, and probably should, turn those great questions and comments you receive via social media into blog posts as well. Create content that marches in step with your other marketing efforts. Maybe you have a big promo coming up, an event, or a new product line coming out. Maybe you’re opening a new location or bringing some new, exciting talent on board. Shouldn’t your blog content reflect what you have going on in the present or coming up in the future? If it doesn’t, you’re missing out on an important chance to spread the word. Use your editorial calendar to strategize around the release of blog content that works hand-in-hand with your other marketing efforts. Of course, many of your posts will be unrelated to your specific business activities, but when you have news, you want to share it. And when you aren’t posting specifically about your company’s going-ons, you may do well to share content that is somehow related. For example, if you are selling computers, posts about malware and anti-virus protection might fit the bill. Guess what? If you’re cultivating an audience on social media, you need an editorial calendar for that as well. It’s a separate entity from your blog, and you’ll have different goals and rules of engagement. Here’s what you need to know about creating an editorial calendar for Facebook. 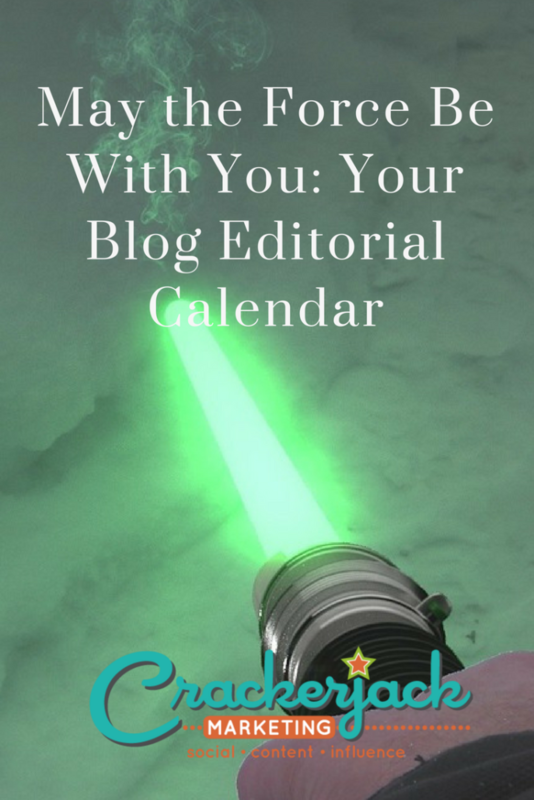 Become a social media Jedi, and tell us about how you’re using an editorial calendar to wrangle your content. We’d love to hear from you in the comments.